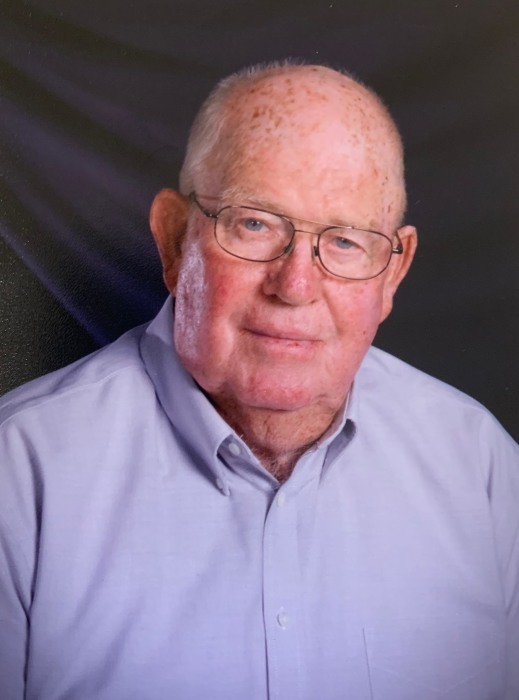 Elroy Rogers, 82, of Rineyville, KY passed away Monday, October 22, 2018 at Hardin Memorial Hospital, Elizabeththown, KY.
Mr. Rogers was a member of St. Brigid Catholic Church, Vine Grove, KY and was retired from Kern’s. He was a farmer, a member of the Hardin County Beef Cattle Association, and enjoyed having coffee at the Rineyville Grill. He was preceded in death by one son, Don W. Rogers; his parents, Webb & Lucille Rogers; three siblings, Lillian Vance, Joyce Dodd, Russell Rogers; and three brother in laws, H.L. Durham, Johnny Dodd, Ronnie Wells. Survivors include his loving wife of sixty years, Doris Rogers of Rineyville, KY; one son, Doug Rogers & his wife, Billie of Rineyville, KY; two grandchildren, Josh Rogers & his wife, Amanda, Megan Flatt & her husband, Lucas; two great grandchildren, Kendall, Stetson; three siblings, Alice Jean Wells of Missouri, Les Rogers & his wife, Linda of Rineyville, KY, Wanda Durham of Radcliff, KY; a brother in law, Gene Vance of Radcliff, KY, a sister in law, Betty Rogers of Rineyville, KY; several nieces, nephews, family & friends. Visitation will be from 3:00 PM until 8:00 PM Wednesday and from 9:00 AM until 10:30 AM Thursday at Chism Family Funeral Home, Vine Grove, KY. A prayer service will be held at 7:00 PM, Wednesday at the funeral home. A Mass of Christian Burial for Mr. Rogers will be held at 11:00 AM, Thursday, October 25, 2018 at St. Brigid Catholic Church, Vine Grove, KY with Rev. Daniel Lincoln officiating. Burial will follow in the St. Brigid Cemetery, Vine Grove, KY.